All Russian airlines, including Aeroflot, are being fully or partially prohibited from overflying or flying to and from the territory of Ukraine. According to a document on President Petro Poroshenko’s website, the list includes the largest Russian airline Aeroflot and its three subsidiaries - Donavia, Orenburg Airlines and Rossiya Airlines. Kiev has also banned AK Bars Aero which had its license revoked in January, and Polet that stopped operations in December. As of Thursday, Borispol Airport in Kiev expects scheduled flights from the banned S7, Aeroflot and Rossiya airlines without any changes. Ukrainian sanctions also affect 28 Russian banks, including Gazprombank and Rosselkhozbank, but do not affect Sberbank, VTB and Vnesheconombank which have subsidiaries in Ukraine. The black list also includes four banks that have lost their licenses to operate in Russia. State TV channels and a helicopter design and manufacturing company Russian Helicopters didn’t escape the embargo, either. 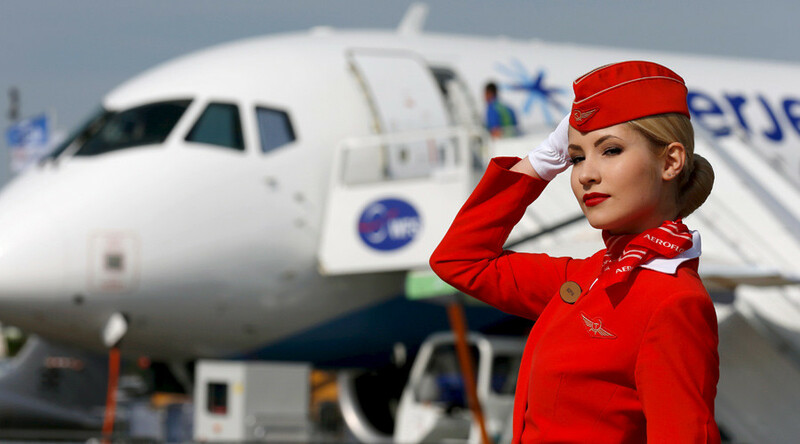 Last August, the Russian government warned the EU of a possible ban on Western airlines flying through its airspace if flagship carrier Aeroflot was included in the sanctions list.